Strategic Elements announces has signed an agreement with the University of New South Wales (UNSW) to further optimize the company's Nanocube Memory Ink flexible/transparent RRAM technology. UNSW and SER will also develop demonstrator applications for the new technology. UNSW will begin the research by assessing potential demonstrator applications in areas such as multi-functional capacitive sensors that can detect the type and strength of external stimuli including curvature, pressure, strain, and touch with clear distinction. It will also look into developing memory arrays that will fulfill the growing requirement for local digital data storage on flexible sensors, tags, wearables and high value consumer packaging. Strategic Elements announces that it has received financial support from the Australian government to extend the development of its Nanocube RRAM memory ink with CSIRO. The $100,00 grant will be co-funded by the government and SER. The program of work at CSIRO is expected to be conducted over a 12-week period, and SER will make progress updates where appropriate. Strategic Elements announces an updates regarding its Memory Ink project status - and said that it has recently tested its spin-coated Memory Ink device (based on a glass substrate and silver electrodes). The tests, performed at UNSW, were successful and 100% of the memory cells operated successfully and showed "suitable" endurance. SER is working with CSIRO, which reproduced the tests done at UNSW successfully - although the endurance results achieved at UNSW could not be repeated. SER will continue to work with UNSW to understand the variability in process and results. The company is also looking into a collaboration with VTT Finland. Strategic Elements announced that it has successfully produced a large-scale batch of its Nanocube Memory Ink with around 400 times the volume of previous batches. Previously the researchers were only able to produces batches in the milliliter range, but now a new method was developed to produces batches of Nanocube Ink in the liter scale. Strategic Elements also updates that it is initiating a new program with the Finnish VTT Technical Research Centre to analyse and optimise the memory ink film thickness and device operation and performance. The company is also negotiating a new agreement with UNSW that will potentially include trial depositions of the Nanocube Ink on the advanced slot die printing equipment recently acquired by UNSW. Strategic Elements announced that it has co-developed a new glass-based RRAM device prototype together with materials research team from the University of New South Wales. 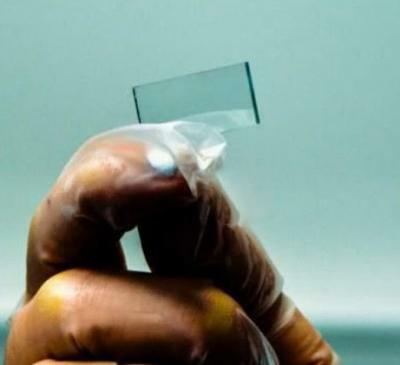 The so called "transparent memory ink", or NanoCube memory, can be printed onto materials such as silicon, glass and plastics using traditional low cost printing methods. The prototype is highly reliable - and succesfully concluded 100,000 read-test cycles. The company said that its equipment cannot measure endurance beyond 100,000 cycles and therefore, the final maximum limit is still to be determined. The memory device is highly transparent - with 70% to 80% transparency. Strategic Elements reports that the alternative fabrication method it started investigating a few weeks ago has succeeded in creating a layer of nanocube ink over five times thinner than achieved previously with increased performance. The surface roughness and uniformity of the nanocube layer was also significantly enhanced. 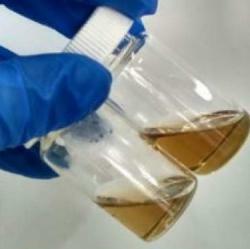 The new method was developed and optimized at the University of New South Wales. Strategic Elements reported that the company is developing an alternative method to build a Nanocube Memory Ink prototype. The new method is being optimized and the company hopes it will lead to significantly enhanced capabilities. The company hopes to finish the first initial testing phase over the next 3-4 weeks, and then publish the results and demonstrate the new technology to future potential partners. Strategic Elements announced that they tested a drop-coated flexible plastic RRAM Nanocube prototype memory cell, and it endured 1000 cycles. The company is now aiming to perform endurance testing for even greater limits. SER is now embarking on new projects that will optimize the Nanocube memory properties, explore advanced plastic materials and also look into glass materials to expand the commercial potential of the Nanocube technology. Nanocube Memory developer Strategic Elements have fabricated a new prototype memory cell on a silicon substrate that achieved data writing speeds "over 1000 times faster than today state-of-the-art flash memory technology". The new prototype also needs a lower voltage - 40% less voltage required by flash memory.